When the weather invites Little Friends outdoors, their favorite place to go is the playground. There they can frolic and gambol over the meadow to their hearts’ content, ride the seesaw or swing on the swing. 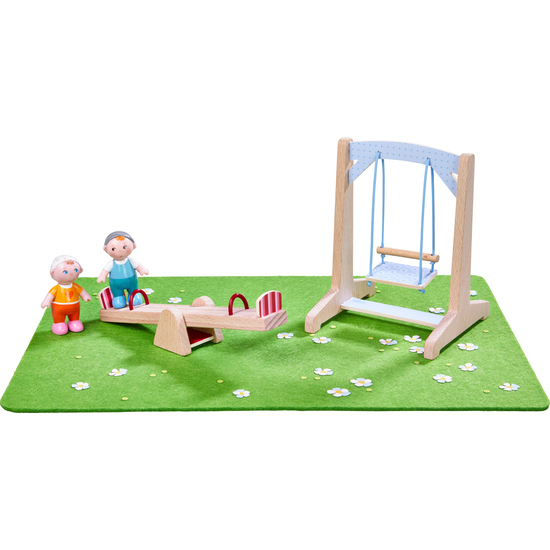 The Playset Playground is a wonderful addition to the entire Little Friends play world and can also be complemented by the separately purchased playset Sandbox. Contents: 1 meadow, 1 seesaw, 1 swing, 2 babies.